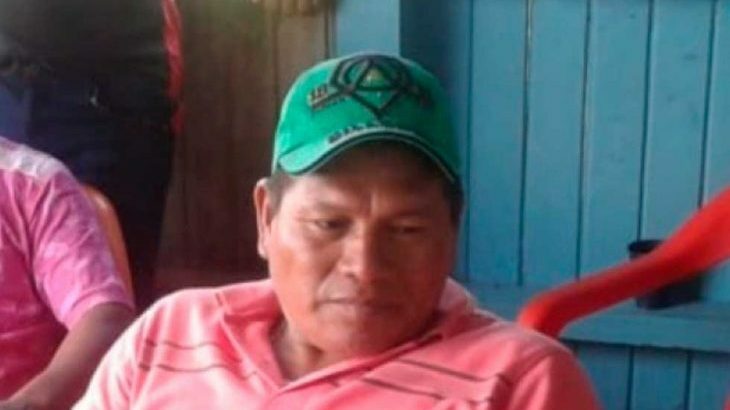 Indigenous leader and human rights activist Aquileo Mecheche Baragon was murdered in Chocó, western Colombia, on 12 April. The 52-year-old was shot at least three times by unknown assailiants after leaving his home in the Riosucio zone. Several armed groups are active in the region and have been targeting local communities. Aquileo was also an educational organiser and worked at the Jagual Indigenous Educational Institution. He had received a number of threats for his community and political work and sought protection from Colombian authorities. According to the National Indigenous Organisation of Colombia (ONIC), the most recent threats came on 25 and 27 March, when armed men entered the Jagual community and threatened its member, particularly Aquileo. The United Nations High Commission for Human Rights in Colombia tweeted ‘we urge the appropriate authorities to swiftly investigate and clarify the murder of indigenous leader and human rights defender Aquileo Mecheche, committed yesterday in Riosucio, Chocó, and to give effective protection of the community in the zone’. In November 2018, Aquileo had coordinated indigenous ‘Minga’ protests in Chocó over state abandonment, environmental damage and high levels of violence against communities. More than 400 indigenous activists from the region marched through Bogota to demand the government take action. According to the ONIC, since Colombian president Iván Duque took office last August, 63 indigenous leaders have been murdered, while there have also been 153 threats against them. Right-wing political figures such as Duque’s mentor, the former president Álvaro Uribe, have been accused of encouraging violence against activists after repeatedly denouncing indigenous protesters as ‘terrorists’ and as members of illegal armed groups.